Stars -- they're just like us! 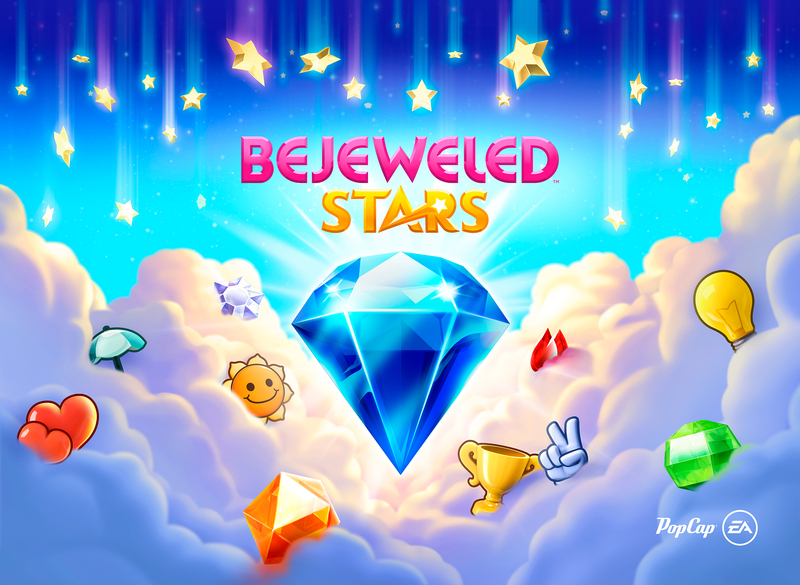 It's actually been 6 years since Bejeweled 3 and a cool 15 since the series' first iteration, even if I still can't reliably spell Bejeweled correctly. One of the reasons King is worth $6 billion is its match-3 Candy Crush, which hadn't even been released when Bejeweled 3 came out (neither were out in 1989 when Sega put out Columns, either, but hey). PopCap, having just delivered the surprisingly great, full 3D shooter Plants vs. Zombies: Garden Warfare 2, is back to serving those seeking more fleeting diversion with the newly released Bejeweled Stars. It is free (with optional in-app purchases naturally) in the App Store and Google Play. Stars boasts, "completely overhauled gameplay" -- it's been in development for three years -- and "new challenges, powerups, challenging obstacles, charm emojis and much more." I may not have an eye for the finely tuned differences, but I do like that cartoon cat. There's also this trailer for the game.